Dries in just 30 seconds, no clamping required. Bonds wood, metal, ceramics and most plastics. Anti-clog tip with metal pin keeps nozzle clean. 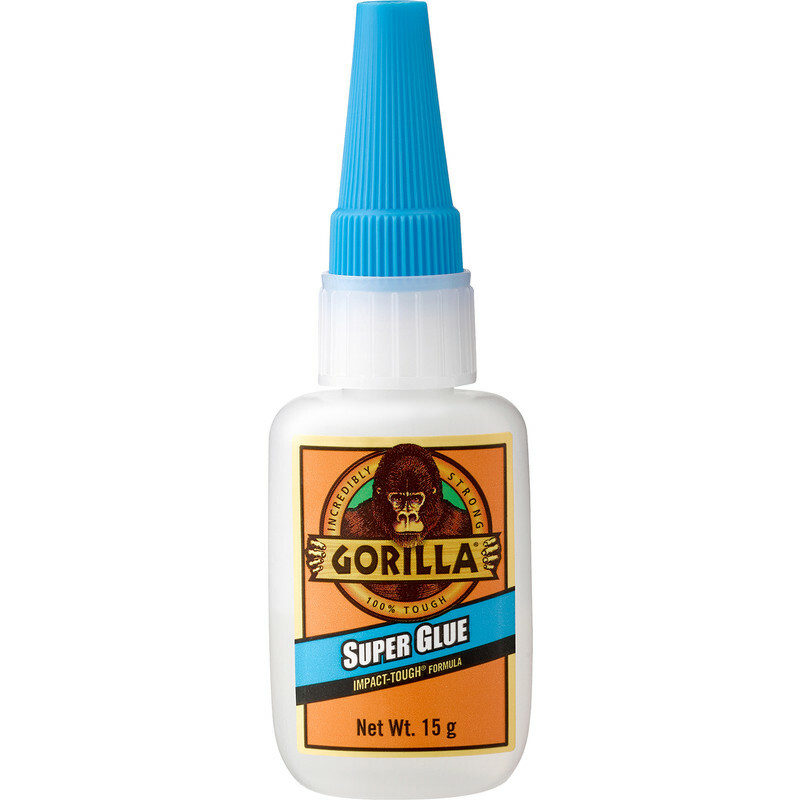 Gorilla Superglue 15g is rated 4.7 out of 5 by 13. Rated 5 out of 5 by Wack from Well its holding! Easy to use, good instructions and good idea with the keep clear cap. Glued two items and holding very well, allbeit only a short space of time.